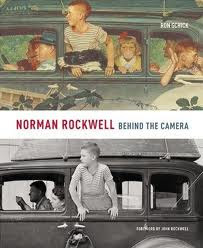 The Norman Rockwell Exhibit at the Brooklyn Museum is fascinating. So many of his subjects are about children. This particular exhibit focuses on the photography behind the paintings and the preliminary work he did for each of his paintings. When you click on the link you will get a snapshot—no pun intended—of how he used photographs to walk him thorugh his paintings.